Route planners—whether map apps like Google maps or a regional route planner like 511—have become indispensable. This is especially true for people who want to avoid a car trip and need to figure out transit connections. But those who want to take a multimodal trip have been largely left to their own devices. For example, try planning a trip between two cities–say, the cities of Campbell and Oakland. Online trip planners will give you a variety of options and estimated travel times based on time of day and conditions. In this case, for example, you could drive (including Uber or Lyft) in an hour and a half, or chose from several combinations of train, bus, and light rail for a two-plus-hours travel time. But what apps can’t tell you is which would be the best transit route to combine with a bike ride. You have to do that yourself as a separate step, which means spending some time toggling back and forth between bike and transit routes to find where they connect with each other. It’s the kind of basic information needed if California wants to make transit work well for everybody. Now Coord, a data mobility company backed by Alphabet’s Sidewalk Labs, is working on a solution. 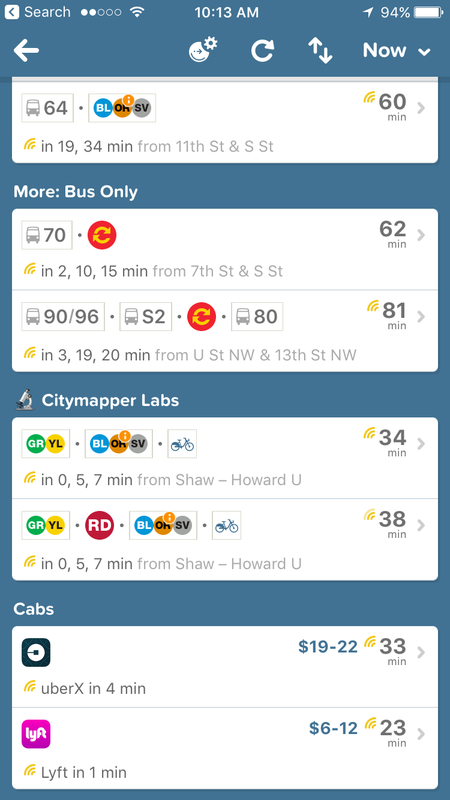 They recently released a new trip planner that combines bike-share and transit in single trips for new York and Washington D.C., and now the tool has expanded to San Francisco. The app focuses on bike-share, rather than bike routes. The developers are still working on it, hoping to add predictive functions that can help riders make decisions based on future availability of bikes, in case they exit a subway to find the bike they wanted has been taken by someone else. And although you can look at the bikes-share stations across the Bay in Oakland, there is no multimodal routing information available outside of San Francisco yet. It’s new, it’s rough, it’s a little raw. The app helps find the best ways to combine two modes as legs of a trip, simplifying the planning for users. This is a great start, and it’s overdue. A new study looks at why women are not nearly at parity in transportation — and how to fix it. Sacramento transit planners asked residents about their needs and preferences, and discussed the trade-offs. Now they've put out a draft proposal for a new, higher-frequency bus network.